1. 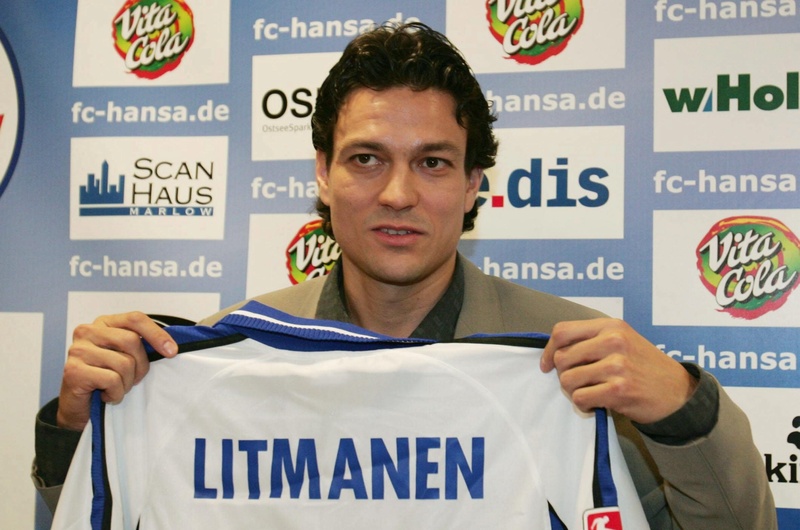 Jari Litmanen (to Fulham) What is ‘Woy’ Hodgson on? Litmanen is almost 37, without a club (until now), and I strongly doubt if he’s ready for a full-on relegation scrap. He may give Fulham fans 10 minutes of light entertainment at the end of a game, and he may still be capable of the occasional flash of brilliance, but he is not fit for the Prem, surely? 2. Hossam Ghaly (Spurs to Derby, loan) Good one, Paul Jewell – why sign one of the worst midfielders ever to grace the Premier League? 3. Milan Baros (Lyon to Portsmouth, loan) Baros has some talent, but he just doesn’t know how to harness it. A headless chicken in boots could do almost as well for ‘Harry Redknapp. 4. Roy Carroll (Rangers to Derby) Good one Paul Jewell – why not sign one of the worst goalkeepers ever to grace the Premier League? 5. Laurent Robert (to Derby) Good one Paul Jewell – why not sign one of the most unreliable, stroppy playmakers ever to grace the Premier League? 6. Wayne Routledge (Spurs to Aston Villa) Lots of pace, not much intelligence on the ball. I always knew Ramos would get rid of him, but I thought Martin O’Neill had more sense. 7. Marlon King (Watford to Wigan) His deal to Fulham fell through because he failed a medical – er, so Wigan go and spend Â£4.5m on him. That makes sense. I rate King but don’t think he’ll stay fit for the rest of the season. 8. Paul Stalteri (Spurs to Fulham, loan) Another lame signing by Woy Hodgson. Stalteri is slower than Jan Molby. And he’s Canadian for God’s sake! Canadian’s can’t play ‘soccer’ – unless it’s on ice. 9. Andy Reid (Charlton to Sunderland) Reid is a very good Championship-standard midfielder, and if the modern game was a bit slower, he’d do very well. But he’s not quite ‘athletic’ enough to cut it in the Prem. 10. Benjani (Portsmouth to Man City) This deal, which didn’t go through because the paperwork wasn’t submitted in time, is still on – Sky Sports News reports that the FA is examining the fine print. If the FA is feeling generous, the Â£9m move could yet happen. For City’s sake, I hope it doesn’t – despite enjoying a hot scoring streak earlier in the season, Benjani is a bit crap and not worth anything like Â£9m.